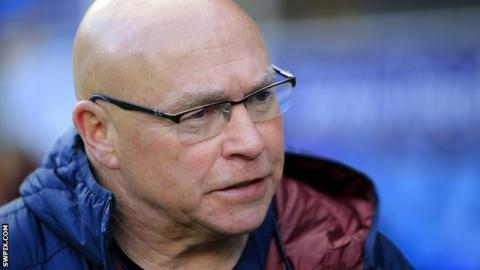 Bradford Bulls have appointed Wakefield director of rugby John Kear as their new head coach on a three-year deal. Kear, 63, who coached Wales at this year's World Cup, returned to Trinity in 2016 after five years with Batley. The Bulls were relegated to the third tier last season after starting the campaign with a 12-point deduction following liquidation. "We want to regain our place where we feel the infrastructure of the club belongs," Kear told the club website. "One of the first challenges that I face is the squad. Obviously, I've got to first of all work with the players, secondly send them out in trial games and then thirdly really have a good assessment of what we have got. "Hopefully this is a squad that will be good enough to take us into the Championship."